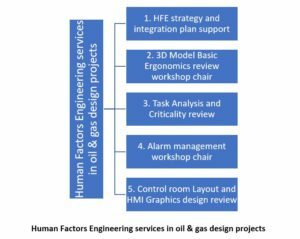 Human Factors Engineering (HFE) focuses on the application of human factor knowledge to the design and construction of socio-technical systems. The objective is to ensure systems are designed in a way that optimises the human contribution to production and minimises potential for design-induced risks to health, personal, process safety or environmental performance (OGP report No. 454, 2011). 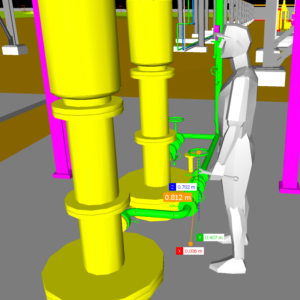 ISO 9241-210, Ergonomics of Human-System Interaction, requires that all new facilities projects apply the principles of Human Factors Engineering (HFE) during early design stages. In practice this means ensuring, as a minimum, that every new facilities project is screened in collaboration with the end users to identify whether there are any “hotspots” (risks, issues or opportunities) associated with the scope of the design project that justify further HFE activities. The standards are generic enough however so as to avoid being tailored on any specific design process. This in turn generates a need for more specific guidance on possible processes and activities for Designers, Operators, Risk Assessors and Project Planners. The CMSE Consultsncy team has developed an interactive project planning tool that allows stakeholders to form a life cycle model similar to a functional safety life cycle model. This enables safety and human factors to be considered together in order to provide a more comprehensive project action plan. This model was based on studies carried out by Dr. Farzad Naghdali (2017) that show there are inter-dependencies between safety and human factor and that a coherent approach towards project planning is best practice. 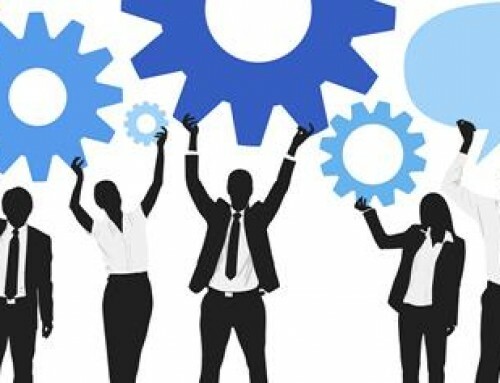 CMSE Consultancy tools also support remote workshop participation that provide clients with international projects a considerable cost-efficient project design solution. Design projects and design review are moving towards using 3D models for the design review process. 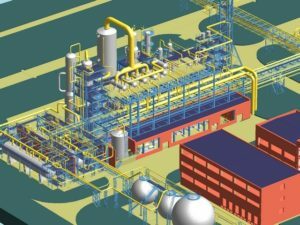 3D models provide an excellent platform for cost-effective design reviews. CMSE Consultancy have been involved in numerous design projects and have facilitated many design review experts. Dr. Farzad Naghdali has developed a comprehensive method for performing Basic Ergonomics Reviews using 3D model systems. Dr. Naghdalhas has also published several articles in relation to his extensive work on design projects and the integration of ergonomics principles into the design using his new technique. The new method includes aspects such as provision of design guidelines and references, providing support for design team based on best industry practices, facilitation of review and implementation of design improvement solutions. These cost-effective techniques can also dramatically reduce the overall project costs. We offer professional design review workshop facilitators for 3D model BER also using videoconferencing technologies. What makes a task safety critical? How do we define the criticality criteria? What should we do if a task is critical? The answer to above questions may not be evident at design stage and hence the human error can be overlooked if task criticality is not addressed adequately. Based on the guidelines of Offshore Technology report 092 from Health & Safety Executive UK (Health & Safety Executive, 1999) the human error is responsible for the majority of risks in offshore oil & gas industry. Using the guidelines of this document our experts will perform a practical assessment of critical tasks to highlight the high-risk activities. Our experts can help you establish the right criteria for your organisation based on your risk profile. The study can either be generic and qualitative or in depth and quantitative in line with your specific requirements. Alarm Rationalisation study, also commonly referred to as alarm management, is the process of reviewing the alarms of the plant and refining them into a short and clear list of relevant alarms to avoid overloading the operator. EEMUA 191 has been known to industry as one of the best industry references in relation to alarm management. Our experts have an in-depth knowledge of both the content of the standard and its application in industrial environments. Applying the principles of EEMUA 191 may seem to be a time consuming and resource exhaustive process, but our method provides cost effective solutions that allow a robust and manageable pace of work. Our method is safety driven and focuses on using the alarms only for what they are intended for. 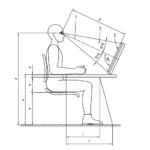 Control room design review activities should consider both physical and cognitive ergonomics issues. Failing in addressing both may have a negative impact on the possibility of performing appropriate actions at critical moments. Our team have extensive knowledge and experience of implementing the ergonomic principles in industrial environments and can provide world class services according to international and industrial standards.